“Local government will allocate budget for implementing smoke free guideline in their annual budget plan” said the chief guest in the certificate ceremony session of the training workshop on “Implementation of Smoke-free Guideline and Tobacco Control Law” organized by YPSA supported by Campaign for Tobacco Free Kids. Smoke free coalition members from 4 districts of Chittagong division including Comilla, Laxmipur, Chandpur and Brahman Baria attended the workshop. The smoke free coalition comprised with councilors, representatives from government and non-government organizations, civil society, journalist, businessman, young people and religious leaders. Mr. Md. Helal Uddin, Upazilla Nirbahi Officer of Comilla Sadar Upazilla inaugurated the training workshop and he said that he will take initiatives to conduct mobile court in Comilla for enforcing Tobacco control Law. Mr. Md. Abdul Wadud, Chief Executive of Comilla City Corporation was present as the chief guest in the closing session and handed over certificates to the participants. He also said that he will take initiative to allocate budget for implementing Smoke free Guideline in Comilla City Corporation. 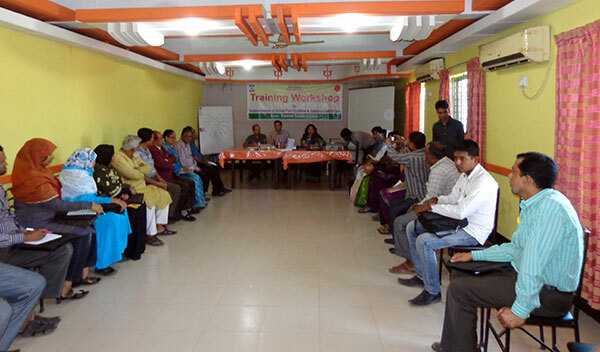 The workshop took place at the Capsicum Restaurant in Comilla during 5 – 6 March 2014. In the training workshop, smoke free guideline of local government, TC amendment law, implementation strategies of guideline and law and the role of coalition in ensuring smoke free environment were discussed. At the end of the training workshop all the coalitions have developed an action plan. Nasim Banu, team Leader of Smoke Free Project of YPSA facilitated the training. Besides that Nazmul Haider, Didarul Alam, Towhida Akter and Kamal Hossain from YPSA were also present in the training.